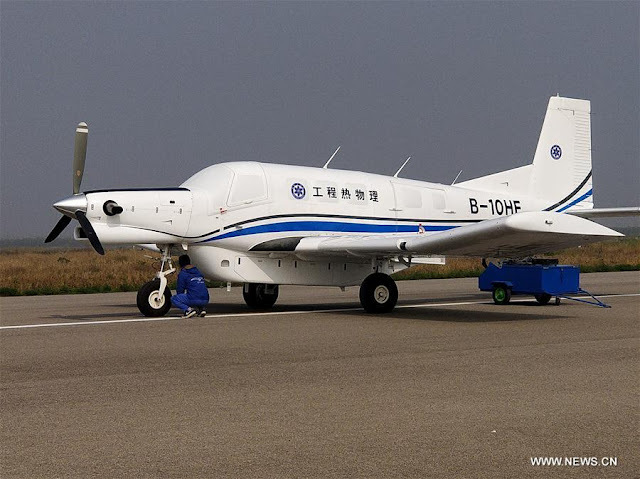 China's heaviest cargo unmanned aerial vehicle (UAV) completed its maiden flight in northwest China's Shaanxi Province Thursday. The AT200 drone, jointly developed by several research institutes and companies, made a successful 26-minute maiden flight, according the Institute of Engineering Thermophysics. With a maximum take-off weight of around 3.4 tonnes and a payload of 1.5 tonnes, the AT200 could be one of the world's most powerful civilian UAVs, according to the institute. Developed on a P750XL utility aircraft, the UAV has a maximum flying speed of 313 km per hour, a flight range of 2,183 kilometers and a 6,098-meter service ceiling. Taking off and landing can be automatically completed within 200 meters. It could be used to conduct freight transport in mountainous regions and on islands, according to the institute. The Marine Corps is all over UAVs for close air support, fleet defense, refueling and ISR but logistics seem to be a blind spot. 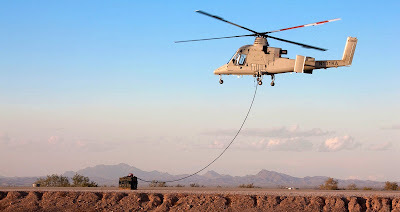 The K-MAX was developed and appeared to be a very useful piece of gear but it looks to have been left by the wayside as the Marine Corps moves forward. What makes this Chinese effort so stunning is because its a simple yet elegant solution to the problem. If you are pushing a concept that has small, widely dispersed units then "on time" resupply could be the difference between life and death. Even if the K-MAX has continued its doubtful that it would have the raw speed that this plane does. It probably lacks the range too. Being a critic of Marine Corps/Pentagon concepts is getting old. I really want to understand what these people are thinking. The people on this blog can't be the only ones that can see the problems we point out on a daily basis. What is the debate like inside the Marine Corps? Is there a debate or are these ideas simply pushed down the food chain and Marines are simply accepting it? I hope not. Critical thinking is part of being a Marine. That hasn't changed has it?